DOWNLOAD OUR FREE POINTS REMINDER AND NEVER FORGET TO COLLECT YOUR POINTS! Visit any of our retail partner websites and the Points Reminder add on will let you know how many points you can collect from each retailer. Google search your favourite websites and the Points Reminder add on will flag all our retail partners where you can collect points from. 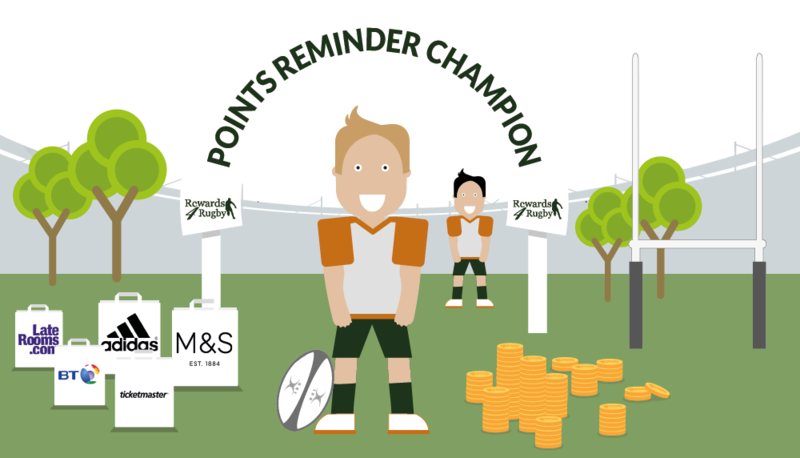 MAKE COLLECTING REWARDS4RUGBY POINTS EASIER AND BECOME A POINTS REMINDER CHAMPION!